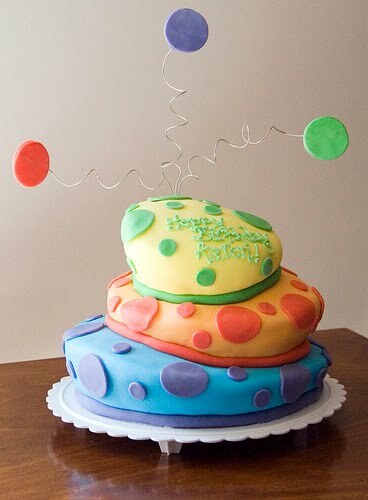 A giant cake with fondant icing. I need to be honest here: this is how a cake would turn out if I tried to bake one. I am sure the artist over at The Cake Ninja did her very best to MAKE it look this way. I wouldn't need to try because it would fall over and that would be that. I am sure it would taste great though! I love that cake decorating has become such an art. What I don't love are all the shows on the Food Network (and elsewhere), all the 'reality' shows about cake decoarating. They are taking something fun and pretty and turning it into a laughing stock what with their lame shenanigans (I am talking about you Cake Boss). When I was a kid I HATED cake. I hated that soft buttercream icing that all bakeries seem to use, it was so gross. So when I learned about fondant it seemed too good to be true! Just a few month ago I was able to partake in the beauty of one of these cakes and it was....OK. Not great. 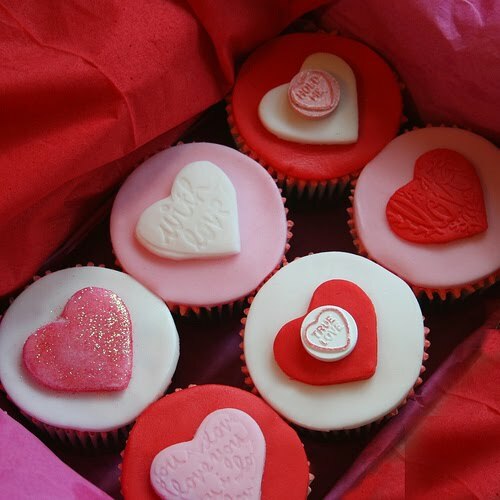 So I am determined that this V-Day, I will make my own fondant cupcakes and they will be SUPERB. If they end up being good, I will virtually share one with all of you lovely people.